Welcome to Veracruz 802 in the exclusive Cape Marco Community on Marco Island, Fl. 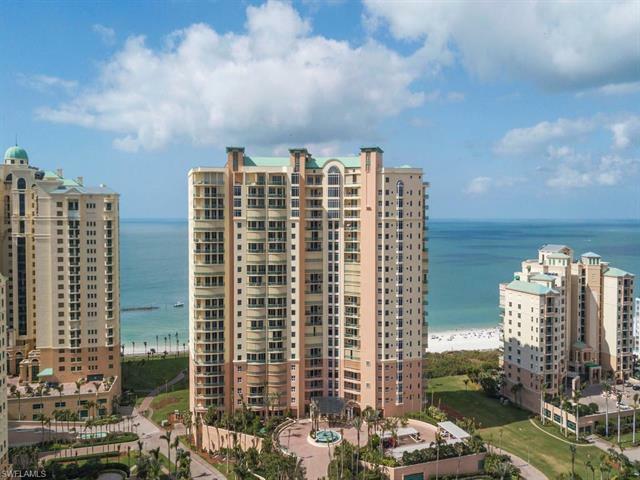 This 4-bedroom 4 bath condo provides stunning panoramic views of the famous Marco Island Crescent Beach on the Gulf of Mexico. The Veracruz building offers views both west and east, providing fabulous nightly sunsets along with brilliant sunrise mornings most every day. Best of all, this condo is one of the last decorator ready units in Veracruz at time of listing. What a great opportunity to create your very own CASTLE ON THE GULF exactly way you wish. While the condo contains a complete kitchen, granite counters in all baths and kitchen, custom cabinets, fireplace, wet bar, private elevator lobby, and many other appointments---you can choose to complete your custom home in your own style. And you will not need to renovate an existing condo to do this work. And the Veracruz condo includes all the Cape Marco amenities including tennis, fitness center, fishing pier, community building gated security, and the Veracruz entertainment package including internet, television, and phone included in the maintenance fee. Come view the Veracruz 802 and find out what luxury beach-gulf living is all about!